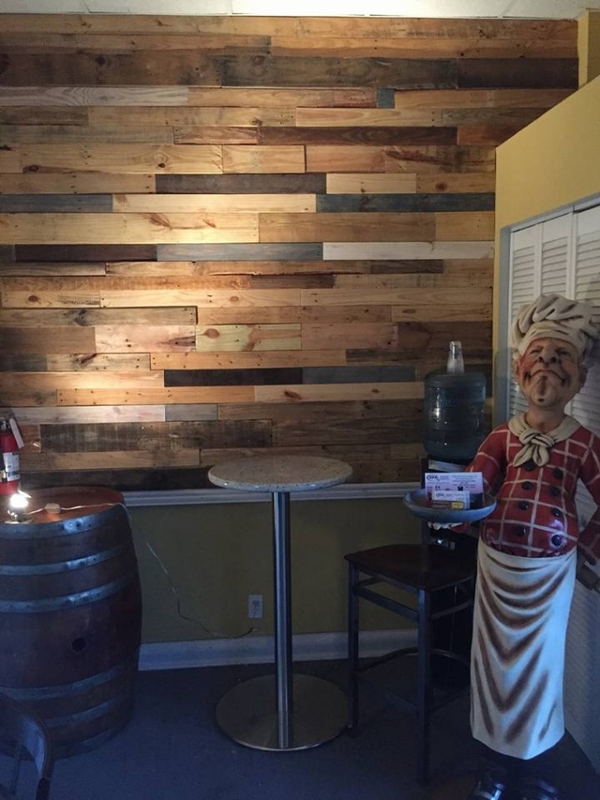 In this DIY post we would be working on some basic techniques of making a pallet wooden wall. 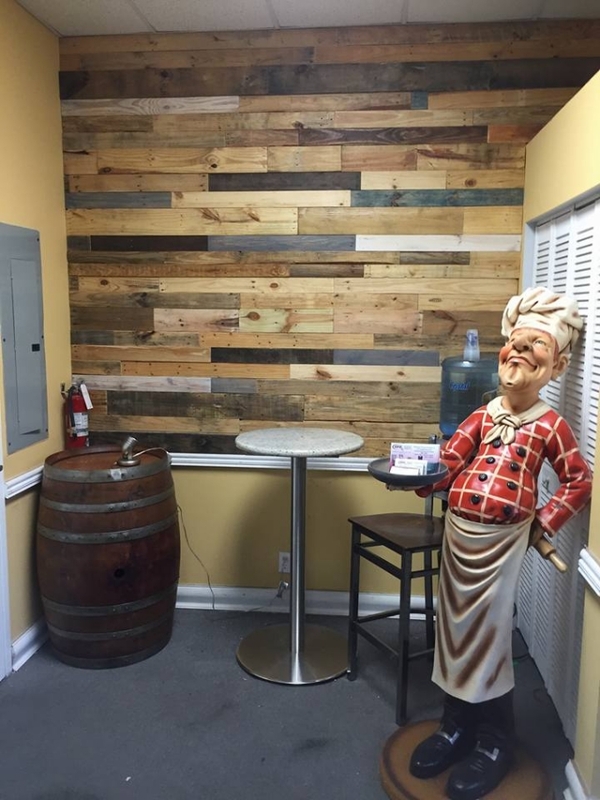 So far we have used the wooden pallets in making several furniture items but here we would be making an accent wall covered with the wooden pallets. 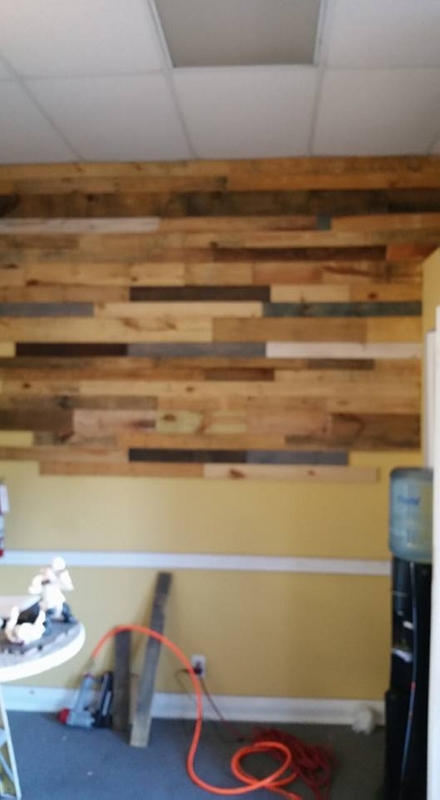 Making a pallet wood wall is slightly different from wooden flooring. But same cut to size pallet planks would be used in making this showroom wall. 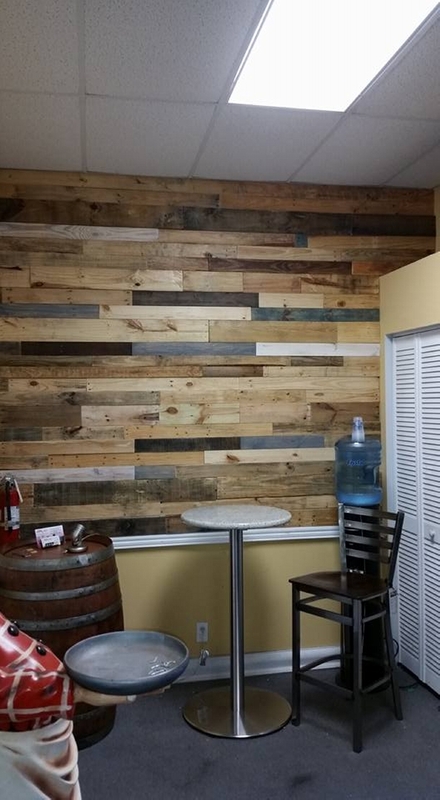 Here we see a very well built pallet wood wall. In the below are we would be talking about some basic steps to be taken, and standards to be followed. First of all let’s talk about the basic tools and supports needed during the project. 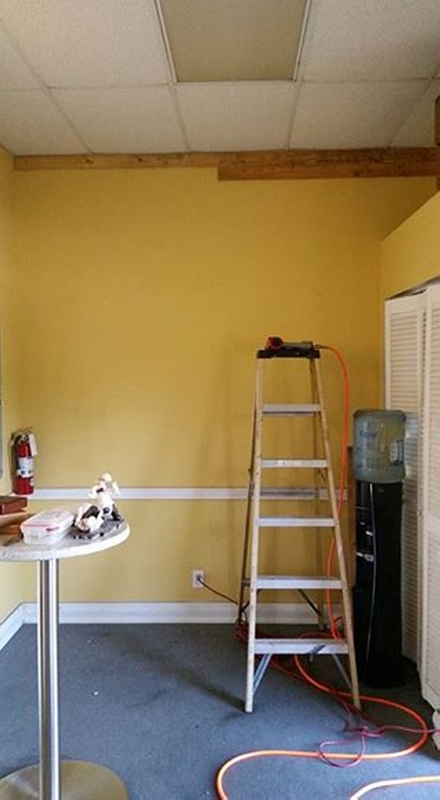 One metallic ladder for sure, a miter saw to cut the pallet planks to size, nails, adhesive glue and sand paper. And after having them all, here you go..
We see here that cut to size wooden pallet planks are piled up in the room. And the volunteer has started pasting each pallet plank that was cut to size earlier. These straight pallet planks are very well sanded first, and then they are being pasted to the wall one by one. While making this showroom wall you can also take advantage of some modern tools like here we see an advanced drill machine to screw in the nails. Prior to nailing down the pallet planks they are coated with specific wood glue. And following the same pattern each pallet wood plank is pasted individually. One thing you must bear in mind, you must take all the precautionary measures during the entire process. Put on some huge professional goggles, wear some thick gloves and be very cautious while drilling. 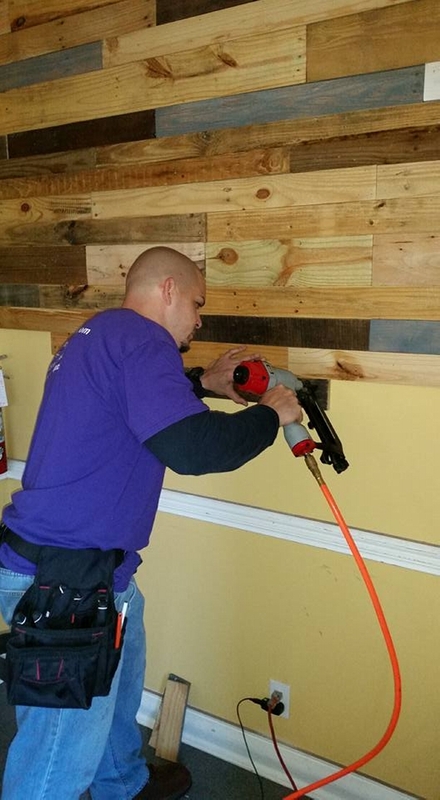 It takes the plenty of care and skill to drill on the wood holes through the concrete wall.